The Chase Sapphire Preferred card offers an unusual amount of value for a mid-tier travel card. A good pick for both frequent flyers and occasional travelers, the Sapphire Preferred card not only offers a solid travel rewards program and a mammoth sign up bonus; it also provides some of the most generous travel insurance benefits you can get on a card that costs less than $100. Rewards Rate 2 points for every dollar spent on travel and restaurants, 1 point for every dollar spent on other purchases. You’ll also get a 25% points bonus if you redeem your points for travel using the Chase Ultimate Rewards travel site. This card doesn’t offer an introductory 0% balance transfer or purchase period. Chase recently increased the sign-up bonus on the Sapphire Preferred card to 60,000 bonus points, which is a lot for a card that only charges a $95 annual fee. If you redeem your points for airfare, hotel bookings, car rentals or cruises using Chase’s Ultimate Rewards travel site, you’ll also get a 25% redemption bonus, making your bonus points even more valuable. As a result, you could potentially walk away with up to $750 worth of free travel—just from one sign-up bonus. It takes a lot of money to get that bonus, though. To earn a bonus, you have to spend $4,000 within three months of opening the card. If you don’t normally charge at least $1,334 a month to your credit card, then you’ll need to get creative in order to get past that $4,000 spending threshold and claim your bonus. Consider purchasing gift cards for stores and restaurants you frequent often, such as your local supermarket or your favorite midweek lunch spot. Or do some of your holiday shopping early. That way, you don’t wind up spending too much more than you would have otherwise just to get a sign-up bonus. Chase makes it easier than many travel cards do to amass a large number of bonus points relatively quickly. Unlike some of its competitors, for example, the Sapphire Preferred card doesn’t limit qualifying travel purchases to just airfare purchases and hotel stays. Instead, you’ll get 2 points for every dollar you spend on a variety of travel purchases, including airfare that you purchase from a discount travel engine, car rental purchases, bus and taxi fare, train tickets, bridge and highway tolls, parking fees, ferry passes, campground charges, and more. That makes it a much better choice for cardholders who only fly a handful of times a year, but spend a fair amount of money on everyday charges, such as public transportation and highway tolls. Chase is also less restrictive about what qualifies as a restaurant purchase. For example, you’ll earn 2 points per dollar spent at fast food chains as well as higher end sit-down restaurants. However, you won’t earn a bonus if you order your food through a delivery service merchant that directly charges your card, such as UberEats. All other purchases automatically earn 1 point for every dollar you spend and you don’t have to worry about points expiring, as long as you keep using your card. Redeeming Chase Ultimate Rewards is relatively simple. You can redeem your points for cash and get 1 cent back for every point you’ve earned. Or, you can book a travel purchase through Chase’s Ultimate Rewards travel site (which works similarly to any other travel search engine) and get an automatic 25% points bonus for every dollar you redeem. So, for example, if you book a $150 hotel stay, you’ll only need 12,000 points to book it (rather than 15,000 Ultimate Rewards points). You can also redeem your points for gift cards or use them to shop on Amazon, score event tickets or purchase Apple products. The value of your points will vary, depending on how you use them. For example, points used for gift cards, event purchases, and Apple products are typically worth 1 cent each. However, if you use your points to pay for all or part of an Amazon purchase, they’ll only be worth $.008 each. You’ll get the most value out of your points booking travel through Chase’s Ultimate Rewards site. That way, your points will be worth $0.125 each. You can also transfer your points on a one-to-one basis to a number of domestic and international travel partners—which is a great perk for frequent flyers and hotel guests. Where the Chase Sapphire Preferred card really stands out, though, is in the value of its insurance and protection benefits, which are becoming increasingly hard to find on lower priced cards. For example, the Sapphire Preferred card offers primary car rental coverage, which is rare on a credit card. Most cards that still offer car rental insurance only offer secondary coverage, which requires you to max out your personal insurance first. Primary car rental insurance: If your rental car is stolen or you get into an accident, Chase will typically cover the car’s damages. There may be some exclusions, though, so check your benefits guide before you opt out of your car rental’s insurance coverage. 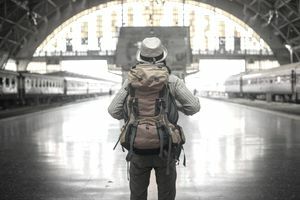 Trip delay protection: If your flight, cruise or train trip is delayed by more than 12 hours—or if a delay or cancellation forces you to stay overnight in a hotel – you’ll be reimbursed for up to $500 worth of meals, hotel stays and other expenses that aren’t covered by your carrier. If you travel with family and charge their tickets to your card, you’ll also get $500 worth of protection for each ticket. Trip cancellation or interruption insurance: If you have to cancel a trip or come home early because you’ve gotten sick, the weather has become dangerous or another unforeseen event that’s covered by the policy has occurred, Chase will reimburse up to $20,000 worth of nonrefundable expenses. Baggage delay insurance: If you can’t pick up your baggage from your airline or another passenger carrier, such as a train or cruise, for more than six hours, Chase will reimburse up to $100 worth of “essential purchases” such as toothpaste or fresh clothes. The protection lasts for up to five days, so if you’re stranded without luggage for nearly a week, you could be reimbursed up to $500. Travel and emergency assistance: If you need urgent help while you’re away, such as legal or medical help, Chase will assist you with finding a provider. Purchase protection: If a new purchase is damaged or stolen within 120 days of when you purchased it, Chase will refund you up to $500 per purchase (up to an overall maximum of $50,000). Extended warranty: If you purchase something under warranty, Chase will extend that coverage for up to another year (as long as the original warranty was for less than three years). The Sapphire Preferred card doesn’t charge a penalty APR or an over-limit fee. Is this card right for you? If you’re looking for a card to take with you when you travel, the Chase Sapphire Preferred card is hard to beat. For the relatively low cost of $95 a year, you’ll get premium travel protections that can potentially save you hundreds of dollars. The rewards on the Sapphire Preferred card are also pretty great if you spend a fair amount of money on travel and restaurant purchases. However, this is still a mid-tier credit card so don’t expect the kind of luxe travel perks you’d get on a higher-end card. You may also have trouble earning a significant amount if you rarely eat out and don’t spend much on any of the card’s travel categories. In that case, you may be better off with a flat-rate credit card. If the card sounds right for you, you can apply for the Chase Sapphire Preferred. You can also check out other travel cards in our roundup of the best cards with travel perks. Which Southwest Credit Card Should You Choose?